Michele Clark McConnochie is a Christchurch-based children’s author with over 25 years’ experience in education. She teaches creative writing and is a freelance features writer for local newspapers. Her trilogy, The Strange Sagas of Sabrina Summers, was first published via Createspace, but the first book, the Uncooperative Flying Carpet, was recently picked up by Morgan James Kids. Welcome Michele, and thank you for joining us today to answer a few questions. Firstly, can you tell us a little about the Sabrina Summers series? It’s a middle-grade trilogy which, although each book has serious messages for readers, is designed to be funny and engaging. Sabrina Summers and her friends are accidentally sent to a strange and mysterious land where they find that being traditional fairy-tale characters is really no fun at all. The books follow a traditional quest format but turn fairytales inside out. Once the magic objects are found, a battle ensues with the kingdom of Dralfynia at stake. Along the way there is treachery and betrayal, and the traditional happy ending where a character becomes a ruler is given a very 21st century twist. I want children to think for themselves and learn to take responsibility for what they do, but to enjoy themselves at the same time. I have also seen that your series has been released in a special dyslexic-friendly format. Are you able to tell us a little about the difference in style, and how that is helpful to the reader? I contacted the Dyslexia Foundation of NZ. They recommended dyslexie font and I bought a publisher’s licence from them. As well as using that font, the books are on cream paper and have a ragged, not straight, right-hand margin. I also deliberately used short chapters with cliffhangers to encourage reluctant readers. You’ve also put a lot of thought into creating additional resources for the readers, such as teaching notes. Any advice to other middle-grade authors who might want to include some of their own? Does it help to be a teacher? Well, all teachers pinch ideas from other teachers, so take a look at other author’s websites and see what looks like a good match (David Walliams and Roald Dahl both have tons of resources). You don’t need to be a teacher, just be creative. I was going to link my worksheets to the national curricula of the UK and NZ, but it was quite complicated to do both. When your third book was released, you held a book launch, which I attended. Do you feel book launches are important? How much planning and organisation is required to make it successful? I absolutely think they are important, even though many authors are introverts and dread public speaking! 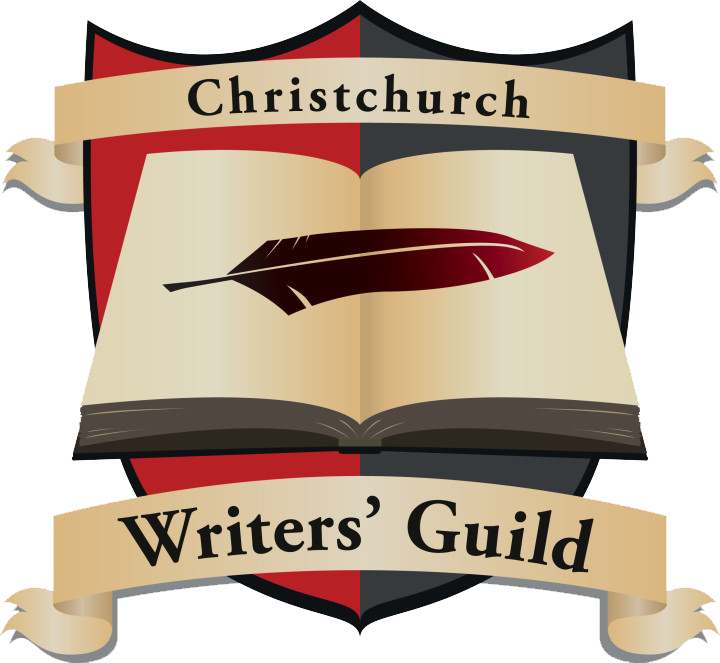 I launched at the NZ Society of Author’s Book Buzz, and they’re happy to give you a platform with another couple of authors and organise the room booking etc, but I also launched at a local library, after running a Canterbury-wide children’s story and drawing competition. Helen Mongillo was incredibly generous and did heaps of the organising, and arranged for Gavin Bishop, Heather McQuillan and Bob Docherty to be the judges. I got entries from around Canterbury, it was heaps of fun, but I found it was a ‘loss leader’ and a lot of work. It’s easier if you work with someone else (a friend is a photographer and we talked about a joint launch/exhibition but the audiences were too different), and it helps if you have a gimmick such as a raffle or food. Basically, ask for help – the Guild seems incredibly supportive! Any tips on inviting in new readers to introduce to your series? Because I write for children, I’ve tried getting my books on the catalogue for Scholastic (they said ‘no’) and I’ve done some teaching in schools and donated the dyslexia-friendly copy of my books to the dyslexia foundation which did lead to publicity and sales. Copies were donated to libraries in the UK (thanks Mum) and here and again, both led to sales. AllbooksNZ are great to use for schools and libraries, I think Scorpio have a publication and if they stock your books, they’ll include it (but I haven’t got that far yet). What other sorts of promotion and marketing have you done for your books? I’ve done some Facebook advertising, have a blog (which I hardly ever do) and have my Twitter and Instagram accounts linked to Facebook. Sending copies to be reviewed is good, but I think you have to be a ‘dripping tap’ and keep on getting yourself out there to maintain, or extend, the shelf-life of your book. Can you tell us a bit about your publishing deal? Yes, it’s very exciting. Having self-published, I was a bit reluctant to hand over the reins to a traditional publisher and, although I did contact a number of agents in the UK as well as a couple of publishers in the US (who all rejected me), Morgan James Kids was a perfect fit. Their background was in old-fashioned ‘vanity publishing’ and they still offer a similar service for their non-fiction books, but they recently branched out into children’s books. They take 12 new publications a year and the copyright remains with the author. We work together for marketing (they get the books on shelves in the US and UK and I have books for sale via my website), and their authors are treated as equal partners, which is fantastic. I have input all the way through the re-editing, book design and cover process, and in return, they ask authors to ‘put some skin in the game’ by taking a number of books at cost and selling them to generate buzz. I approached them, heard nothing for a while then got an initial email. That was followed up with a phone call with their fiction acquisitions editor before the book went to their reading committee to be voted on. The reason for the call is they want to make sure they are dealing with authors who also have a sensible, commercial approach and are prepared to go out and do school visits etc. They have agreed to publish book one of the Strange Sagas of Sabrina Summers, The Uncooperative Flying Carpet and that is released early 2018. And finally, what other projects are you working on now? I’m still chipping away at a travel book, working titled Big Boots, based on a trip I took last July and August to sites associated with classic children’s books such as the actual Pooh Corner and Secret Garden, and for light relief, I’m developing a book of short stories based on the background characters from the Strange Sagas of Sabrina Summers. Thank you for your time, Michele.